New York designer Karim Rashid has defended the use of unpaid internships, saying young designers can learn more working at a studio than studying at a fee-paying university. "I believe some of the universities are far more exploiting than a small brilliant architecture firm that can inspire and be a catalyst for a student's budding career," said Rashid in a comment on Facebook, responding to Dezeen's post about unpaid internships at Chilean architecture studio Elemental. "In a rigorous office with a respectful mentor, an intern can learn in three months more than a year or two of education, and education in USA is costing that student $60,000 to $100,000 a year," the designer wrote. Rashid, who runs a studio that designs furniture, products and interiors, runs an unpaid internship programme. This consists of four months of unpaid work and is advertised on the studio's website. "Our internship program is composed of: four solid months of full-time, unpaid, challenging and intense projects," Rashid's website states. "You'll be learning in a fast paced environment, multi-disciplinary studio where no two days are ever the same." The website adds that candidates must possess "written and verbal communication skills, organisational and multi-tasking abilities, passion for design, computer skills, and a positive attitude." In his Facebook comment Rashid wrote: "Just to add, in my office if a recent graduate applies and seems very talented and cannot afford to survive on their own for a period of three months, we grant them a stipend." "Even though I interned for one full year unpaid in 1984 I would never expect anyone to intern unpaid for more than 3 months." Internships a "fork of furthering education"
Rashid claimed that interns are "not employees" and that internships are a "fork of furthering education". He explained how, in the 1970s, unpaid internships were the norm in Italian design studios. "I was an unpaid intern in [Milanese design office] Rodolfo Bonetto Studio for one full year after I graduated with my masters," he explained. "When I went to apply at other offices in Milan like Ettore Sottsass Associates, he said he could not afford to hire me and he had seven unpaid interns in an office of 14 yet still having trouble surviving." Brad Ascalon, founder of New York multidisciplinary design studio Brad Ascalon Studio, agreed that unpaid internships were better value than a design education. "In the US, schools expect students to earn credits as interns, paid or unpaid," he wrote on Facebook, in response to Rashid's comment. "The cost of said credits can run upwards of $5,000 for a typical three-credit internship." "Why is nobody writing/protesting how these schools, who play no role in the actual internship, are robbing students of their money while the students are gaining a priceless education in the studios for which they're interning?" Ascalon worked as an unpaid intern in Rashid's studio in the past, he said. "I built a knowledge base that not a single career design educator ever could have given me," he wrote of the experience. "Without understanding the process from A to Z, I never would have had the guts to start my own studio immediately after graduate school." "The truth is that interns take work, and their input tends to be limited at best. Whether you want to call it work or not, internships are generally for the sake of the interns, not the studios." "So how about we start condemning the schools who charge for credits, while acknowledging the good that internships, paid or unpaid, do for students?" Chris Livaudais, executive director of the Industrial Designers Society of America, said: "Unpaid internships are legal in the US, but broadly speaking I think they are becoming less common." Livaudais said his organisation, which "promotes the practice and education of industrial design," does not have an official stance on unpaid internships. "We do, however, believe that a designer's (or artist or any other creative professional) time and talents are valuable and should be treated as such," he said. "Every employment situation is different and it's really up to the parties at hand to determine an agreed upon compensation model for services provided/received." Unpaid architecture internships hit the headlines last week when Japanese architect Junya Ishigami advertised for unpaid staff while working on the commission to design this year's Serpentine Pavilion in London. The Serpentine Gallery, the client for the prestigious annual commission, subsequently told Ishigami it would not tolerate unpaid labour working on the pavilion. The next day, Chilean architecture studio Elemental, which is headed by Pritzker Prize-winner Alejandro Aravena, announced it was ending its intern programme due to adverse publicity about unpaid roles. 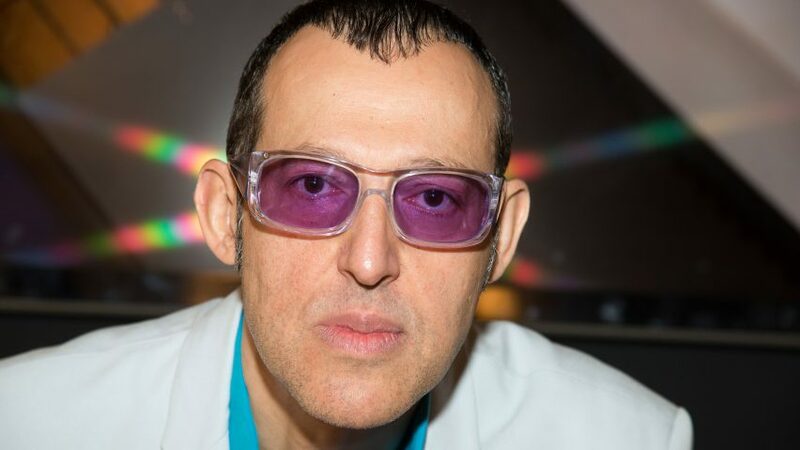 Photo of Karim Rashid is courtesy of Getty Images.